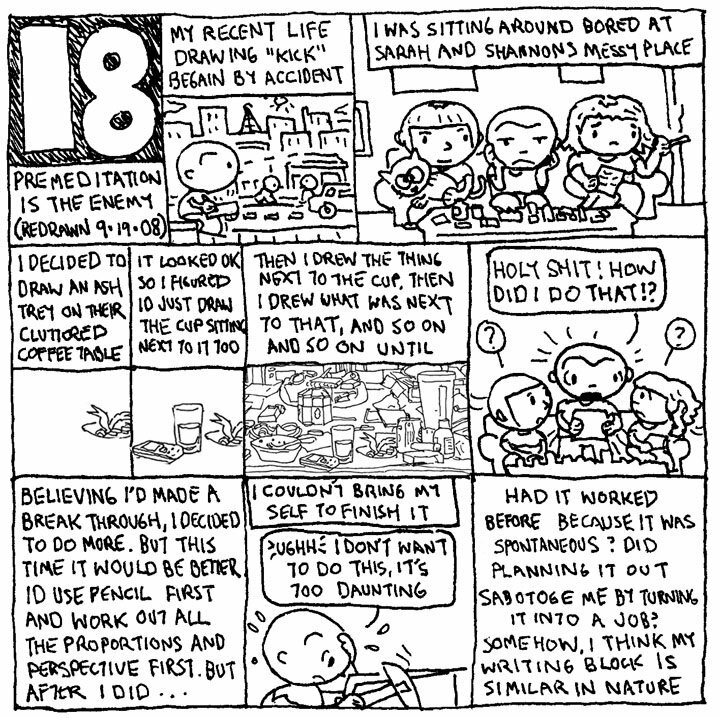 Cartoonist Daniel Spottswood keeps a daily cartoon journal. In addition to the refined “Disquietville” strips we’re presenting, he has generously agreed to allow us to share a number of his personal diary cartoons. These raw, revealing strips often reveal this struggles with cartooning. Spottswood’s work has appeared in the Kansas City Star and his self-published Disquietville books. You can check out his work at his website (www.disquietville.com/index.html) and the work blog — Comic Strip Joint — that he shares with J.W. Cotter, Hector Casanova, and Travis Fox.